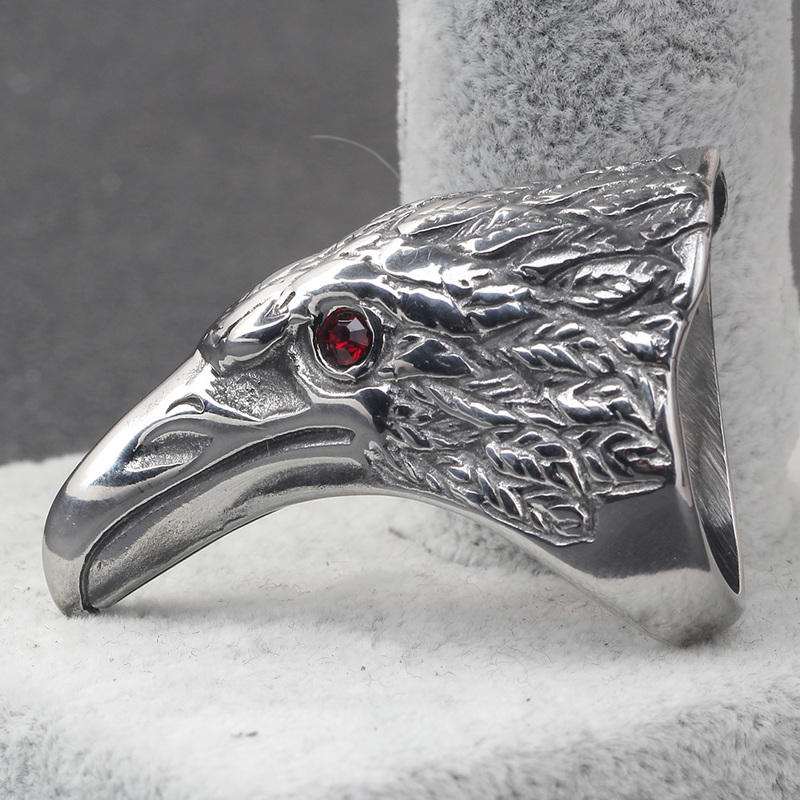 It's a super classy punk eagle head ring for Men and Women. 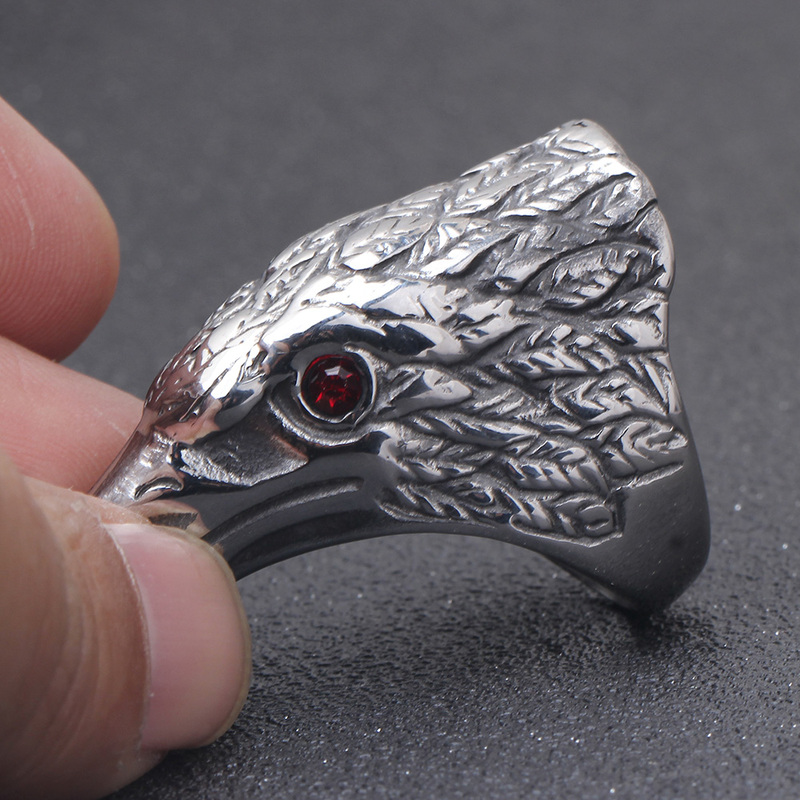 The beautiful ring is made of a high-tempered Stainless-Steel base material and has blooded red Cubic Zirconia on the eye to make it look more live and trendy. 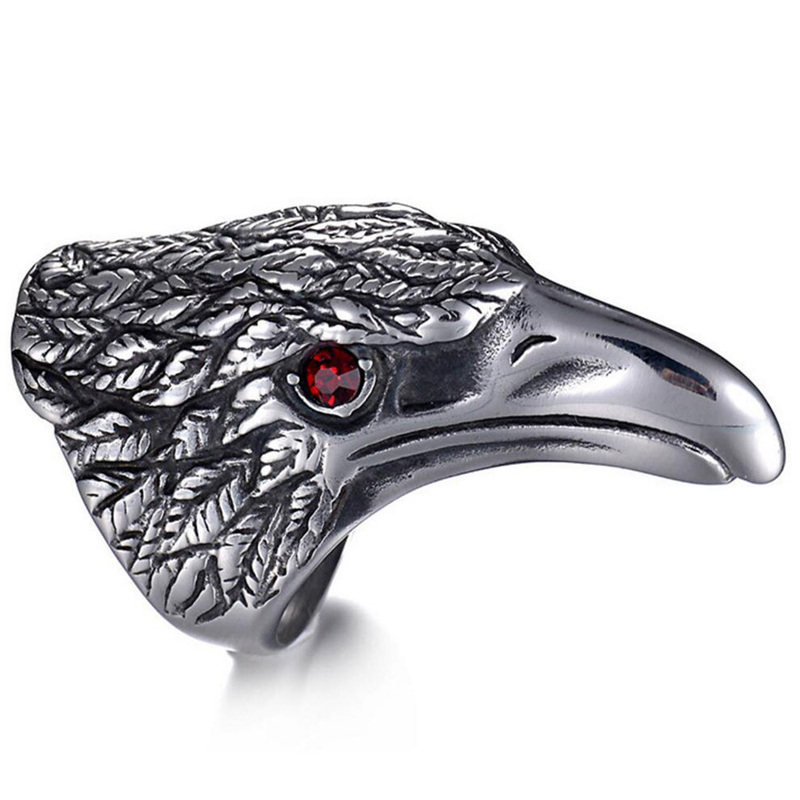 The beautiful punk ring can be great to wear to the party. 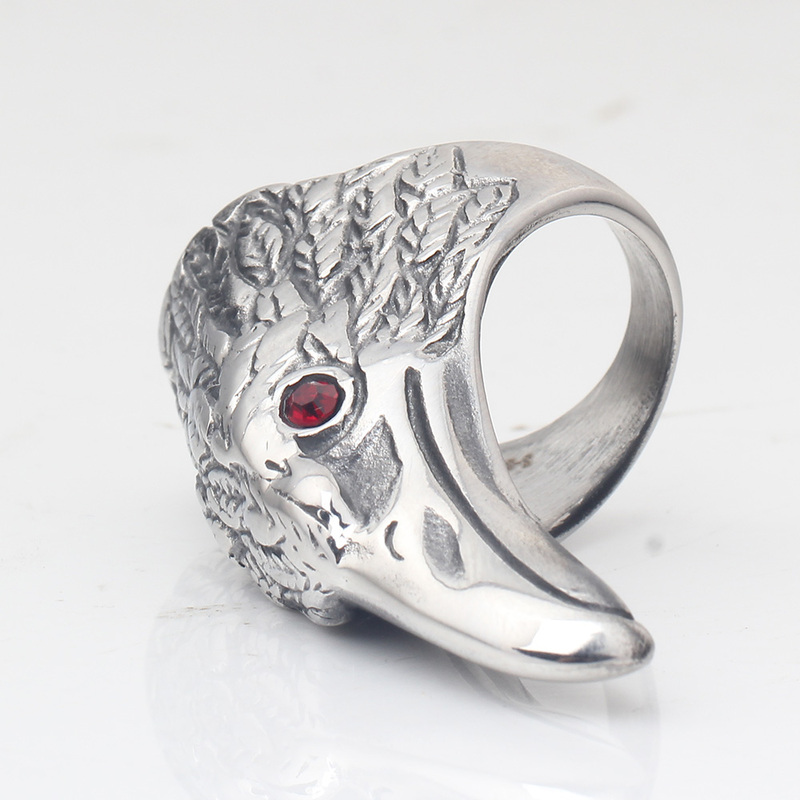 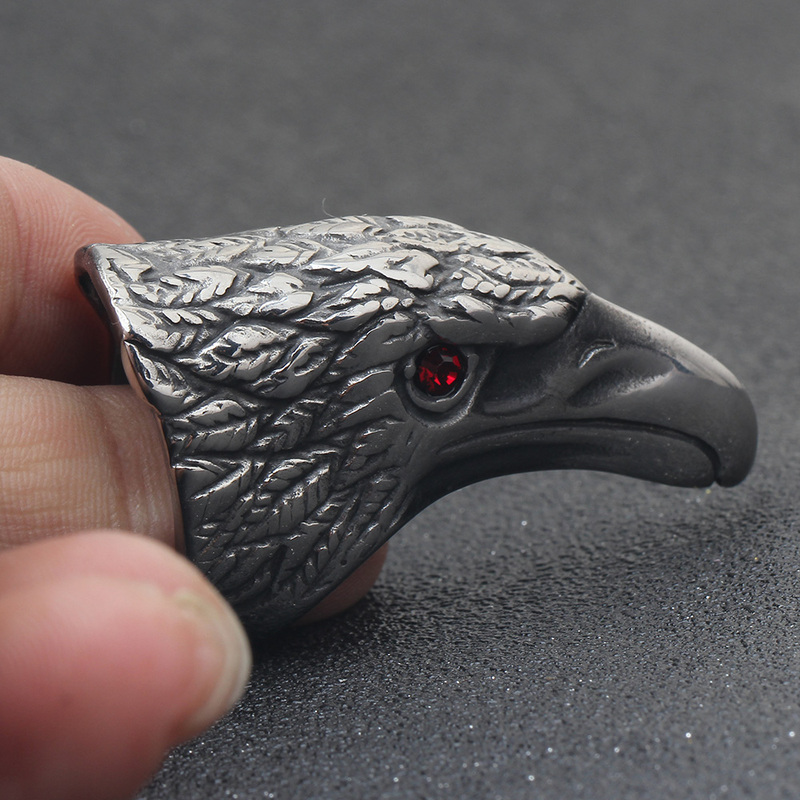 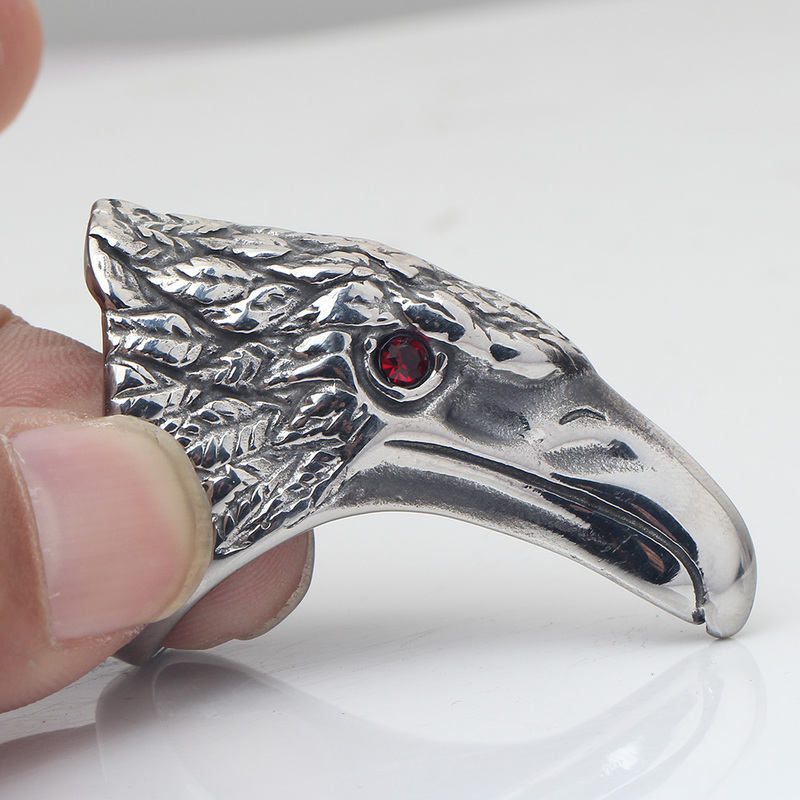 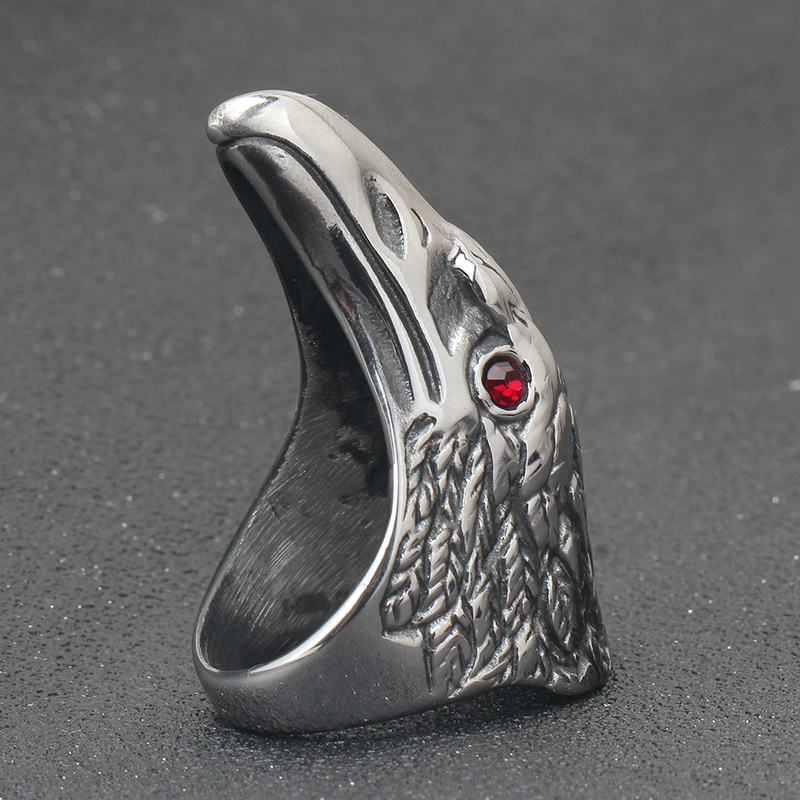 The trendy punk rings are 31g weighed with about 51mm long eagle head. 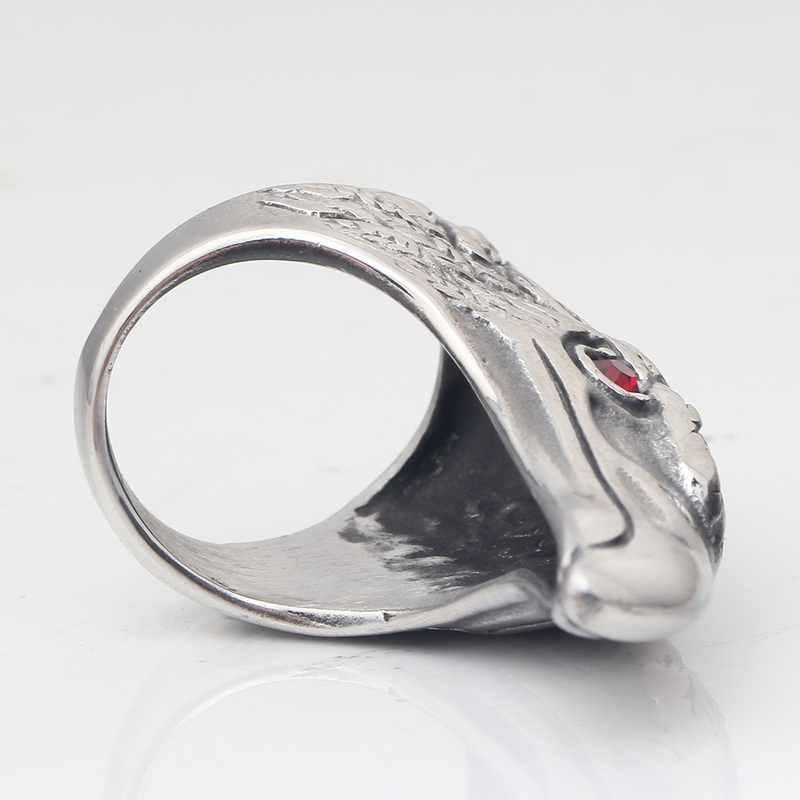 The fashionable rings are now available in 1 color and for 8-13 finger sizes.